Another orca has died at SeaWorld, the San Antonio park revealed on Monday. Unna, an 18-year-old whale who was born at SeaWorld Orlando, passed away on Monday after a months-long battle with candida, a type of fungus infection. SeaWorld, which first announced Unna's illness in September, has sought to portray candida as a natural part of a wild orca's life, describing it as "pervasive in the environment" and saying it is found in wild whales and other animals. But the Merck Manual, a respected encyclopedia of veterinary medicine, reveals that the fungal infection is often a result of captivity. "Captive marine mammals seem particularly prone to fungal infections," the manual says. "This common mycotic disease [candida] in captive cetaceans occurs secondary to stress, unbalanced water disinfection with chlorines, or indiscriminate antibiotic therapy." Unna's infection was also resistant to antibiotic treatment, according to SeaWorld's press releases. According to former trainers, SeaWorld regularly doses its whales with antibiotics, which is inadvisable as it can lead to drug-resistant strains of funguses and other infections. 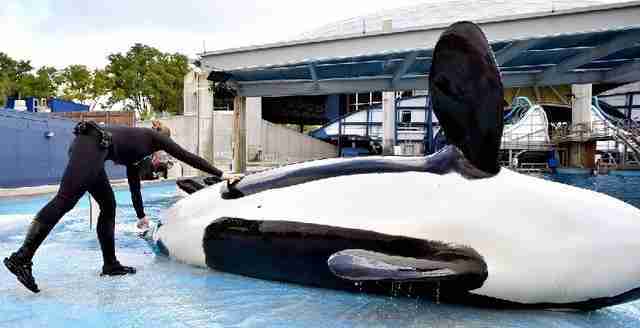 Unna is the latest in a long string of SeaWorld's whales to die before their expected lifespan, with many of the deaths attributable to the unnatural stress of captivity. While Unna was just days away from her nineteenth birthday, female orcas live around 50 years on average and up to 100 years in the wild, according to the National Oceanic and Atmospheric Administration. 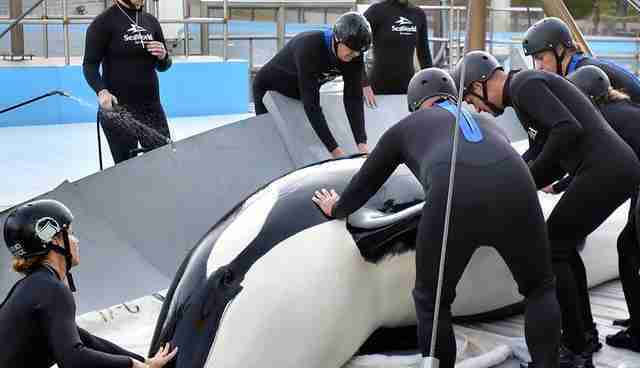 Unna is the second whale to die at SeaWorld San Antonio in as many months. In November, a 2-year-old beluga died at SeaWorld San Antonio due to undisclosed reasons; belugas can live up to 60 years in the wild. Another beluga calf died in July at SeaWorld San Antonio at just 3 weeks old. The park said it would release the results of Unna's necropsy once it's complete. SeaWorld said that San Antonio orca shows would be canceled on Monday. "This is a difficult time for the SeaWorld team and all of Unna's many fans, and we thank you for your thoughts and well wishes," the company wrote in a press release. This post will be updated with more information if it becomes available.